The potential for pain and the fear of pain are major factors preventing some people from getting the dental care they really need. Individuals suffering from Temporomandibular Jaw Disorder are exceptionally subject to pain. 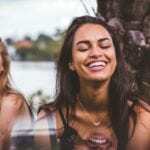 However, visiting the dentist, is the best way to resolve TMJ pain, by relying on the science of neuromuscular dentistry and a technology called Transcutaneous Electro Neural Stimulation (TENS). The acronym TENS stands for transcutaneous electrical nerve stimulation. Transcutaneous means through the skin. A TENS unit is a small appliance that sends electrical impulses through electrodes that are attached to your skin. The electrodes are usually placed near the area where you are experiencing pain or at pressure points. As the unit sends electrical impulses through your skin, you may experience immediate pain relief. How does TENS help erase TMJ pain? TENS therapy is designed to treat the pain associated with TMJ. It does so by targeting mild electrical pulses to your jaw and facial muscles. These electrical impulses increase blood flow to the muscles which help relax the muscles, allowing the dentist to determine the ideal jaw position for your bite. The electricity sent to your nerves by TENS also interrupts pain signals that are being sent to your brain. TMJ pain can be felt anywhere in your head or spine because it often gets misdirected through the complicated nerve pathways that serve this entire area of your body. TENS attempts to further mix up the pain signals so that they never reach your brain. When the signals are stopped in this way, you don’t feel pain. TENS may also increase the production of endorphins, which are the body’s natural pain blockers. Westminster’s Dr. Gary Imm and his All Smile Care team understands your pain and your fears because of his years of experience working with other TMJ patients. His dental office features the comfort, technology and convenience you need to make your dental experience memorable and enjoyable, without the pain you might be expecting. And best of all, finding a solution and treatment for you and your specific needs! Using technology to identify your best bite is at the heart of the principle of neuromuscular dentistry. Once your correct jaw position has been determined, effective treatment os the next step. Whether it’s a simple bite splint or a more comprehensive treatment like orthodontics, Dr. Gary Imm can help you treat your TMJ disorder so that you can get relief. 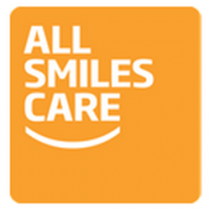 Would you like to find out more about how All Smiles Care’s TENS machine can help you? Book a consultation and find out.